Establish in Bradford in 1987, we offer a wide range of Day Excursions, Coach Holidays and Coaches for Private Hire. In 1997 we purchased and incorporated the long established firm or Westercroft coaches on the retirement of its owner. We have our own premises at Sandbeds between Bingley and Keighley with parking, washing and other preparation facilities. We are full members of the national trade body for the coach industry, the Confederation of Passenger Transport and West Yorkshire Coach Operators (WYCO). We have a modern coach fleet and we take pride in the care and presentation of all our coaches. We have 3 sizes of coach avaialable; 35, 49 and 53. All of them comply with current safety legislation, they are all fitted with seatbelts and for your extra safety they have a secondary breaking system. 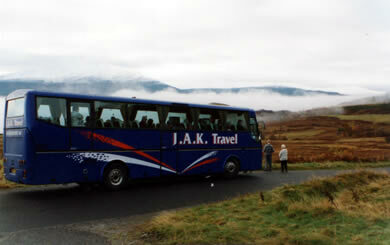 2012 saw a milestone reached as JAK Travel passed the 25 years of being a coach tour operator. Time has flown and It seems more like 25 minutes says Alan until he sees pictures of his younger self, and realises that perhaps it is more like 50 years ! 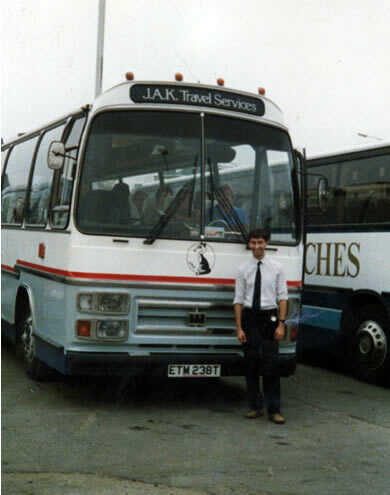 From a standing start of not having been in the industry before, and with no contacts or contracts, it is with some pride looking back on the 25 years that JAK Travel now has its own operating base, and five coaches, with 4 being under 10 years old. Plus we have a regular clientele of day trip, short break and private hire customers, many who we regard as friends, “it is one of the pleasures of the job, being able chat to people about their families, jobs, etc and share a laugh or two.” says Alan. Of the jobs that stand out the Olympics this year has been of major significance, but so too were the commemorations of the Dunkirk Evacuation and D Day Landings, when we took the veterans back to France/Belgium. Real living history, and very emotionally moving. As well, the ride is better as we have air suspension, there’s air conditioning, and seat belts all round. However there are more electronics on board, and if the “computer says no” – the job stops ! No two days have ever been the same, and there’s never a dull moment due to the characters we’ve either employed, carried or met! From fights between brides and grooms at wedding receptions, to Benny Hill type chases through parks – its all been seen & done to add to life's rich tapestry as a coach operator. Roll on the next 25 years ! J.A.K. Travel can help if you are looking for coach hire, a day trip or holiday by coach. 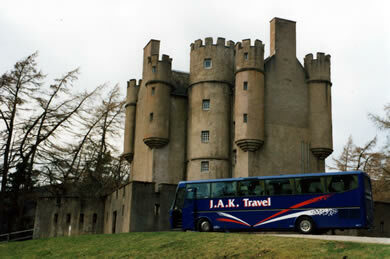 Book just a few seats from our brochure or book the whole coach for an excusion of your own. Call our office on 01274 566 200 or email office@jaktravel.co.uk for a free, no obligation quote.